Each spring the company organizes the Zone Networx – house party on the city square of Ruse, Bulgaria which attracts a large number of fans. 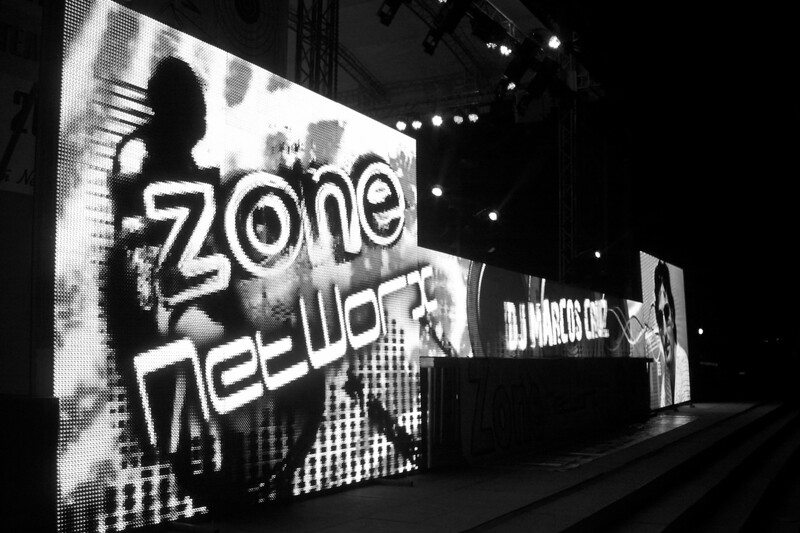 Traffic Radio Station has been broadcasting live the biggest party in Ruse – “Zone Networx – house party 4” since 26 may 2006. Till now there have been 3 parties. The fourth one is coming soon – on 22 september 2007 – special guest will be DJ Eric Entrena (Toro Records) Spain ! Since the beginning of the year Traffic radio has been second in the Internet top 5 of Bulgaria. It is on first possition for july. Zone Networx Party shakes Ruse, Bulgaria for the fifth time! Sound power over 25 000 will pour on the city square on 31th May,Saturday. This was announced by the Marketing maneger of Networx-Bulgaria Dimitar Dimitroff. Then, 6pm sharp will start the fifth edition of Networx Zone Party which will gather thousands of young people on the square again. To be this good enough there will be more than 40KW lightning,multimedia and so on. Powerful searchlights and colour laser will pierce the sky over the city, on a hude monitor which will be installed for the first time in Ruse, the guests will be able to see 3D and other effects. The top of the icecream this time will be DJ Chus – one of the greatest stars if Spanish and world house stage. He will present in front of people from Ruse,all over the country and Romania his unique Iberian sound- a specific mix of hipnotic house, tribal and modern progressive elements. DJ Chus is selected a couple ot times for the best DJ of Spain, his sets are included in many house compilations. His name doesn’t go out of the top 100 of DJ Magazine. Special guest of Networx Zone Party will be also the charming DJ Djane Koki from Plovdiv. As always there will be DJ Bobby D from Traffic Radio Station – the N1 radio in Bulgaria. DJ Joy and DJ Todd will also represent their music. The party which is already a tradition in Ruse gains worldwide response. There’s notified interest from Romania. The promoters have arranged 2 buses in the Saturday night between Ruse and Giurgiu to allow the house fans visit the party for free. This is somehow continuation of the European day of neighbours. Over 100 fans of club music from Varna, Veliko Tarnovo, Dobrich, Shumen and other towns have already booked rooms in the hotels in Ruse. The interest equalizes Ruse with the indisputable leader in organising and taking of such enterprise in the field of party – Kavarna. 12 Sept 2008 Mark Knight is playing 2-hour set for people living in Ruse.